Metro Vancouver residents waste a lot of food and the regional district is launching a new campaign to prod them to do better. 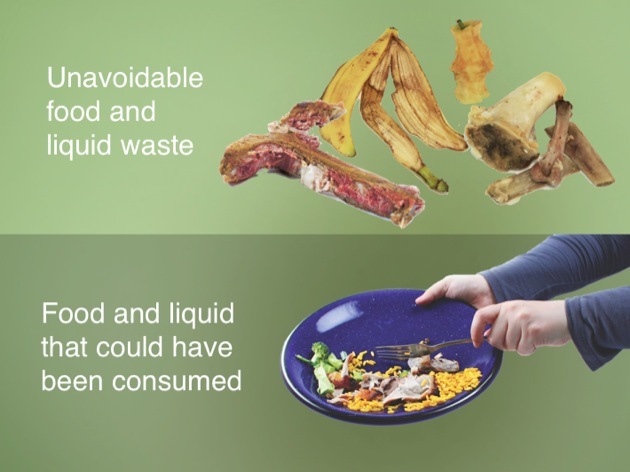 The Love Food Hate Waste campaign, found online at lovefoodhatewaste.ca, mirrors a successful British initiative credited with cutting food waste 21 per cent over five years. Metro officials hope to achieve similar gains here by offering similar tips and ideas on how to improve how we buy, use and store food to make it last longer and use it more efficiently. The regional district estimates 100,000 tonnes per year of food, beverage and dairy products are tossed out that should have been used. 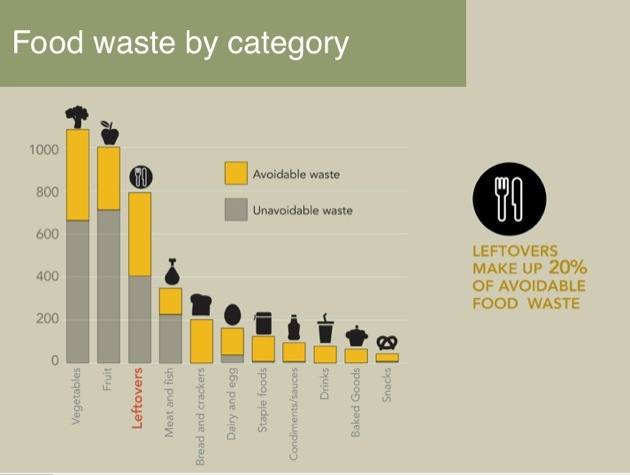 Food wasted in an average day in the region consists of 80,000 potatoes, 26,000 bananas, 70,000 cups of milk and 32,000 loaves of bread. That doesn’t count another 90,000 tonnes per year of unavoidable food waste that’s considered inedible, like meat bones, egg shells and pineapple skins, all of which is supposed to go in organic food waste bins. Metro got 500 households to complete kitchen diaries tracking what they bought, ate and tossed last November. 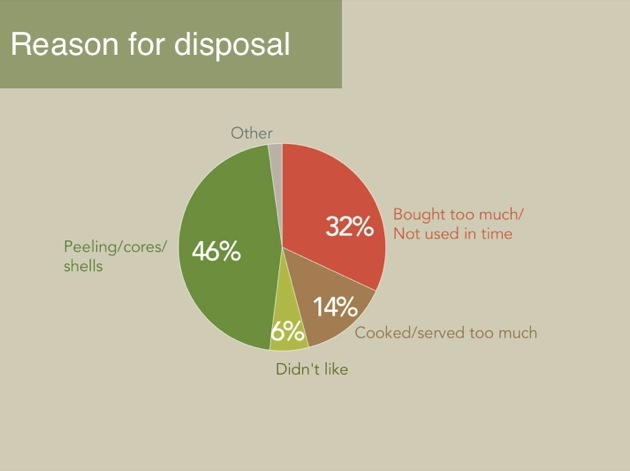 Nearly half the food disposed was tossed because residents bought too much, didn’t use it in time or either cooked or served too much. Metro estimates the lack of efficient meal planning behind that adds up to $700 worth of food being wasted per household each year. 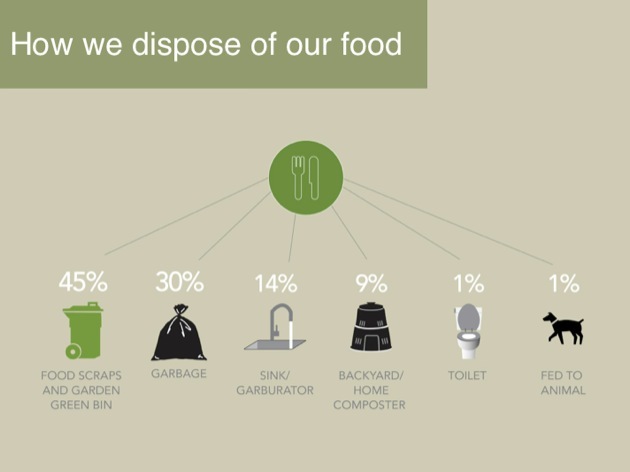 Despite the region’s organic waste dumping ban and curbside green bin pickup, 30,000 tonnes of avoidable food waste is estimated to be going into landfills where it generates methane. Had it been eaten, Metro estimates the carbon emission reductions would have been equivalent to taking 2,000 cars off the road.